Anna Sones was featured at Bard College, reading the following story. Listen to the episode here. My mother was a flight attendant. It started out as a job between jobs, one she would leave soon for its obvious disruptions to family life, but she found the work fit her disposition more snugly than expected, so by the time I was born, the thing was consecrated, and she remained perpetually above us. My father worked out of the house as an accountant. His tasks were to look over all our earthbound problems: mowing the lawn and looking after his limping child. My father was a caring man, in a quiet, nervous sort of way. Everything about him was a bit trembly—the way he ate, the way he balanced and re-balanced his checkbook, the way he asked my doctor detailed questions he wouldn’t understand the answer to. It was necessary, I suppose, looking back on it. I’m sure my mother was very kind also. Only I feel that in order to make such a sweeping generalization about someone, you need to spend quite a bit of time with them, and, as I said, my mother belonged to the sun. My father and I worshipped her, the idea of her. She was our goddess, with a navy-blue suit and a demonstrational oxygen mask. We used to speak reminiscently about her using the souvenirs she brought back from all over. Between the souvenirs and the pictures and the reminiscences, it was like we’d all really been there together. I suppose this was necessary too. Time was ever in short supply and there was little certainty as to when it would come around again. We were like safari animals, gorging while we could. After this, she could take a deep breath, and then she could ask me how school was, how I felt, if it hurt as much as before, as when we had talked on the phone. And then I would put the magnet on the fridge and make the necessary adjustments to the patchwork of other magnets, and my father would cook us dinner. Then we would eat and my parents would sit across the table from one another and exchange timid smiles, like awkward high school lovers. It must have been hard, being married to a goddess. It was a quiet childhood. I was studious to the utmost degree. All the time I had to myself I spent on my schoolwork. 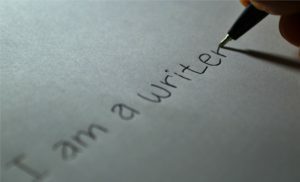 I would transcribe my times tables or write my book reports, and I could always hear the tapping of my father’s keyboard, which was soothing like rain. My studiousness paid off in smooth, high grades, and my father was very proud. But eventually, I suppose my parents became concerned by my quietude. They asked me why every phone call was for my father and why I never even watched TV, and I didn’t have an answer for them. It was time for a vacation. I had recently undergone a minor corrective surgery, but after some deliberation it was decided that we couldn’t wait. Since my mother was the world traveler, we consulted her for appropriate destinations. We settled on California. The town she chose was small, and contrasted the primal smell of ocean decay with angular, modern shops and restaurants. We followed my mother to the open-air balconies of little bistros, and to the edges of little cliffs under which the ocean stretched out, corrugated and limitless. I limped along dutifully on crutches. When we tired of exploring, we returned to our third floor hotel room. We shared a king-sized bed, with me in the middle, and watched TV shows about other people’s lives, more exciting than our own. The lanky opaque hair of my father and I blended together, and side by side our soft, stooped bodies clashed with my mother’s, all of which shone slightly, as though rubbed with the cloth of an Ancient Greek sculptor. And all the while, my mother talked. She would say, “Did you know the tides change because of the moon, Helen?” or, “I once stayed the night fifty miles south of here. They had the best swordfish. We should go there someday, all of us,” or, “A friend of mine is related to this news anchor, just a distant relation.” At first, my father and I were mesmerized by her voice and its charming airy quality. We were so unused to it and we drank it up like desert plants, storing it for later. But after a while, we were gorged, and her voice turned strange in its insistence. We couldn’t reconcile its sudden abundance with its usual absence. One evening, my father suggested a walk on the beach. The sunset had burst and spilt sticky orange colors all over the water. My mother said, “You can’t imagine how different a sunset is from the air.” With hardly a breath, my father replied, “If we can’t imagine it, then I wish you would please stop mentioning it.” There was silence as cool as the ocean breeze, in which my mother’s hair reflected the colors of the sun, and the breeze flicked it like the tails of cats. Gradually, my parents walked on ahead and I fell back to poke for shells using my crutches in the last of the ruddy light. “I wish you would just stop talking at her and be with her,” said my father. They had walked just far enough away that they thought I couldn’t hear. Or maybe they knew I could hear and didn’t care. Maybe they wanted me to know they were concerned for my sake. “Yes, air.” They had walked down to the lowest part of the beach, and their toes were in the simmering foam. A bit of moon was out, pulling at the ocean like a leashed dog, and the waves dashed themselves against the surface of the earth to touch her. From further down the beach, I could feel the bitterness coming off their bodies being sucked in by that tide and resurfacing, sweeping tsunami-like up over the lowland. That night, I slept with my face turned towards the ceiling and my parents’ backs at each of my shoulders. Neither of them changed; only my mother addressed her wondrous comments to me alone now. “Look, Helen, do you see how the crab has picked too big a shell, Helen?” I liked to hear her say my name. Then we flew home, and a day later, my mother went back to work. That was alright; I had a book report to finish. My mother told me over the phone that her company was doing a worse job sending her to her home base between shifts, but that she had some wonderful souvenirs for me when it did. And when it did, she slept on the couch, or sometimes with me, if the pain wasn’t too bad, which I loved. Life went on like that for a long time. It was like a wheel turning—not like a jet wheel screaming against the tarmac, but slow, like a carriage wheel. And then one day, my father was driving me from the pediatrician’s to the house and without looking away from the road, he told me that my mother was moving away, to St. Louis of all places. I don’t remember being very sad, just disappointed. It was the same deep emptiness that is felt throughout childhood whenever a little more magic is lost. Nothing really changed. I got a new leg brace and my father stayed stooped over his keyboard and my souvenir collection kept growing, only now additions came in the mail. I had a little chest of things from my mother. It held all the souvenirs that weren’t magnets: key chains and silver spoons and such. I kept the chest at the foot of my bed, just kept it there and didn’t open it except to add to it. Only, I was starting high school now. While my mother was starting her new life, I had a change of my own. If I felt any conscious effect of my mother’s moving away, it was awe at how drastically, how easily a life could change. Even without our house as a temple, my mother was still my mythical goddess, and her power reached across the miles to inspire me. School lunchtimes had always been time to myself, when I could sit and start my work. But now, I stood outside with the other students, and sometimes smoked cigarettes. I let the smoke fill me like contrails. I would lean against the schoolhouse wall and I found that if I tucked one leg behind the other, it didn’t look too strange. “Wow,” I said. I never felt there was much to say of my family, so I didn’t talk about it unless she asked. “Do you ever miss your mom?” she asked when I told her about my mother’s relocation. I thought about it. One Tuesday, when the rest of the students were taking a geometry exam, Atlanta and I pushed our luck. With wild smiles, we edged just one more inch towards the tip of the tree branch, and when we carefully set our weight down together, the branch bowed precipitously and then split with a tearing sound that lasted the entirety of our descending flight. I ended up on the branch and Atlanta ended up on me and we both ended up in the hospital. Neither of us were hurt too badly. I had several badly twisted joints, and Atlanta had a mild concussion. However, for the first time in years, possibly in my life, I remember wanting my mother. I was keenly aware of her absence, and it felt very wrong and very empty. This was how my father found out I was skipping class. He tried to be understanding and even reprimanding, but I knew he was mostly just hurt—hurt and feeling marked permanently as an ineffective parent. Scalded, the stoop of his shoulders deepened, and he recoiled further into his work where he knew he could give the greatest gift: a paycheck. I felt guilty. I didn’t blame him. The only person who had gotten me onto that tree branch was me. I didn’t tell him that. The doctors kept me overnight and agonized over the additional damage to my leg. My father was all nerves and questions. My mother was somewhere in Asia and couldn’t rearrange her schedule in time to come and see me. Days after I got home, she sent me a pointed bluish crystal which she said was a healing charm. Both of my parents’ gifts to me became particularly important in my third year of high school. For years, the doctors had deliberated over whether to shorten one leg or lengthen the other—if either would ever be necessary—and had waited year after year to see how and if the problem resolved itself. But after several late growth spurts and no agreement between my legs, the doctors finally decided to intervene and take out several inches of bone from my right leg. I need hardly admit I was scared. There had been other surgeries before, and small corrections and braces and shoes, but never had I faced a piece of me being taken away irrevocably. However, I had my mother’s crystal, and based on the satisfactory return of my leg to its normal state after the tree incident, I felt quietly assured that my mother’s divinity would see me through. Upon checking in at the hospital, however, I was told that I could not keep the charm in my fist during the operation. I cried. My father took the charm from my clammy fingers, kissed my tear-sheened cheek, and helplessly watched the nurses roll me away. It was a long recovery. I begged my father to give me the charm once I was confined to my own bed, but no matter how hard I clenched it in my hands and verily prayed to it, the pain did not abate—not for weeks, months, even. And when at long last it did—what with innumerable hours of physical therapy, several prescriptions of stronger-than-average pain medication, and patience—I could not forbear feeling that it was through the strength of my own body alone. During one of my mother’s short interims in St. Louis, she called me while I was out of the house. I realized, however, that my leg had returned to its normal state entirely without the magic of her presence. So I didn’t call back, and indeed, from then on, I felt less pressed to hear her voice on the phone. My grades had teetered perilously since high school began, and once the pain left and I could embrace my senses without fear, I recognized that it was time for focus. I would never be able to regain the pious studiousness of my childhood, but I learned ever to seek that middle ground between attending to my studies and paying heed to the friends that I was, on occasion, able to garner. Atlanta and I had not spoken since shortly after our joint hospital stay. We had acknowledged (mostly tacitly) the falling-out that must necessarily follow, and she had given me one last parting cigarette, to which I was still, reluctantly, addicted. My balancing act was enough to get me into a state university. After the pictures of my graduation got out into the world, I received my first package from my mother in years: a framed picture of my family with the California ocean in the background. What with the orange-sliver smiles and my colorless windswept hair in my face, we looked like regular travelers. We looked like a family. The picture triggered a turning in my stomach. I put it in my box and went off to college. College was alright. In the evenings I studied in the comfort of my own apartment, and sometimes even walked the streets with others. My leg, as is often the case, resolved itself almost entirely by the time I got my degree. After my mother retired, she had no more opportunities for souvenirs, and I think she believed she had nothing more to give. She would have to resort to her physical presence. With hardly a day’s warning, she flew in and drove straight to my apartment. She had aged. There was grey in her hair and spots on her hands. 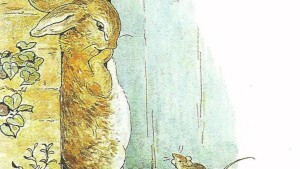 It clashed with the image from my childhood, with the image in the photograph. She took me out to a noisy diner with lots of college students and plenty of distractions. She wanted to invite my father, but he didn’t pick up the phone. The lettuce on my sandwich was wilted and I excused myself under the guise of a bathroom break to smoke a cigarette. At the very beginning of the meal she wanted to know ‘all about me,’ how I’d liked school and what my passions were, and when she discovered that there was nothing to know, she packed the rest of the hour with her own words, stories like she’d used to tell, only with more desperation, more pleading in the way she told them. I don’t remember a word. That was the last time I saw my mother. I received a call while working as a receptionist in a psychologist’s office that told me she had died of cirrhosis of the liver. That came as a surprise to me, since I could not once remember seeing my mother drink. I almost went outside for a cigarette, but I had quit several years before, so instead, I watched parents nudge their wide-eyed children in and out of the office. Then I bought a plane ticket to St. Louis. The flight attendants’ voices were like air through a cracked window. Craning my neck, I could see their smiles and their struts, and I feared they might float off the aisle, acting so free so far above the ground. I thanked them as I got off the plane. My mother’s apartment was at the top of a tall beige building. There were no drapes on the windows and the light gave a feeling of buoyancy to the place as it fell upon the greasy countertop and mismatched shoes. I found a picture of my face in almost every room. My father’s, too. I wish my parents had known they didn’t have to try so hard. I wish my mother hadn’t tried to be immortal; it would have been easier for all of us if she had accepted her mortality. And I wish my father had blamed me, just once, instead of himself. I wish my parents had known that I would turn out alright, and that, I believe, the impact any one of us can have on any other, good or bad, is, in fact, very minimal. These are the things I did not tell my father while we buried my mother. I picked up her ashes in a small tin can. I considered finding a way to the top of her apartment building and casting her into the wind so she could be airborne one more time. But instead, I took her home. I buried the can in the ground under a maple tree in front of my father’s house, the one where he had raised me. I knelt in the dirt and my father leaned on his walker, silent save to say, “I’m sorry, Helen.” By way of response, I lifted my old souvenir box, and placed it, too, in the earth under the maple tree near my parents. I think they need it more now. Anna Sones was born and raised in Santa Fe, New Mexico. She is currently a sophomore at Bard College where she studies Written Arts. 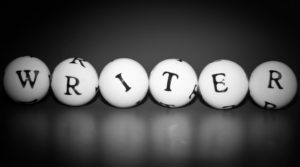 She writes in any genre in which the inspiration strikes, but mostly fiction. Her other interests include sustainability and playing the clarinet. 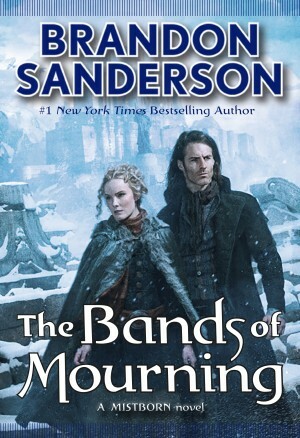 #GIVEAWAY - Brandon Sanderson's "The Bands of Mourning"